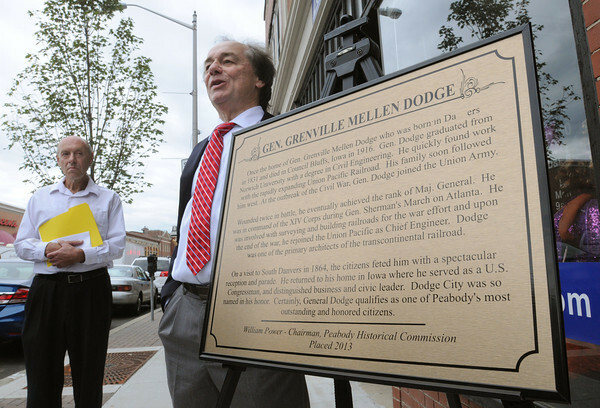 Arthur Gordon, left, listens to Bill Power speak during the dedication of a plaque at the former home of Gen. Grenville Dodge, a Norwich grad, engineer, who fought in Sherman's Army until wounded at Atlanta, helped survey much of the route of the transcontinental railroad. The event was on Main Street in Peabody. Photo by Ken Yuszkus, The Salem News, Wednesday, September 25, 2013.